LeEco launched its Super3 X55, Super3 X65 and Super3 Max65 Smart TVs in India on 04 Aug. 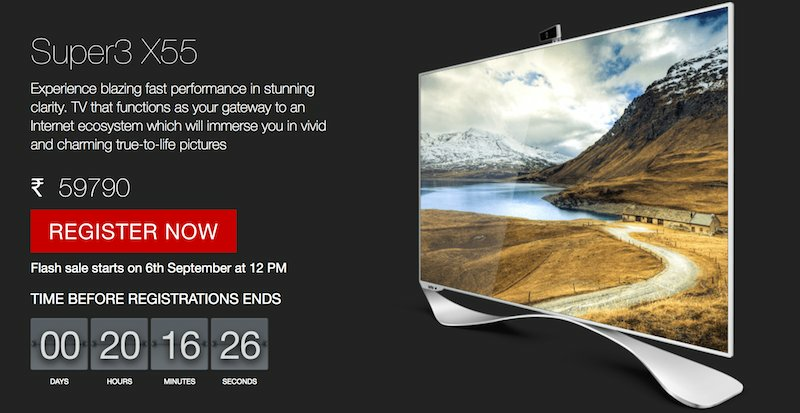 Registration are open now for LeEco Super3 X55 Smart TV flash sale on 6 Sept @ 12PM on Flipkart and Lemall.com. Stay tuned with us for more updates on LeTV Super3 Series TVs sale. 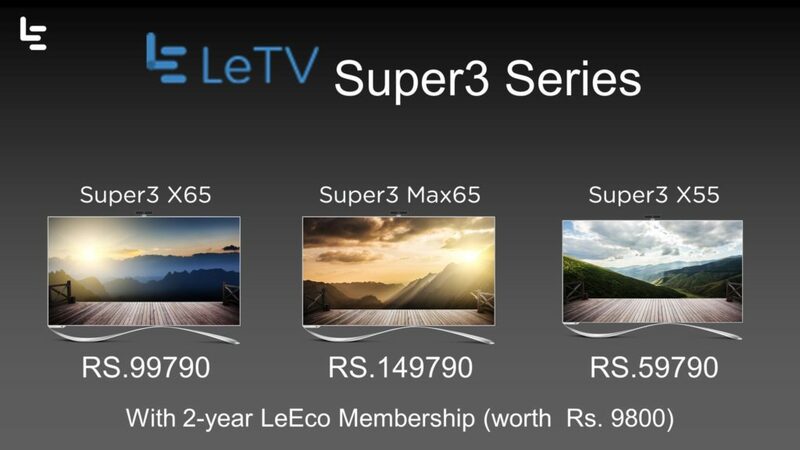 Visit LeEco LeTV Super3 series TVs Sale page. 2. 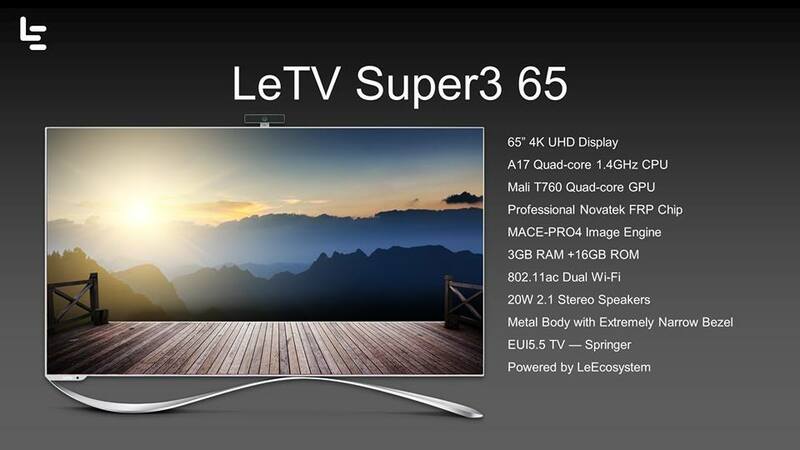 Visit LeEco Super3 X55 sale page. Flat Rs.5000 deferred cashback (Credited by 6th December 2016) with Citi Credit and Debit Cards issued in India on purchase of LeTV X3-55 model televisions sold by by WS Retail Pvt Ltd. (WS Retail) on flipkart.com, m.flipkart.com & Mobile App. The Offer is valid from September 6, 2016 (12:00 Hours) to September 6, 2016 (18:00 Hours), (Offer Period). The LeEco Super3 X55 is priced at Rs. 59,790 in India, the Super3 X65 price is fixed at Rs. 99,790 and the high-end Super3 Max65 3D 4K Smart TV is priced at Rs. 1,49,790. These TVs will be available from LeMall and Flipkart. 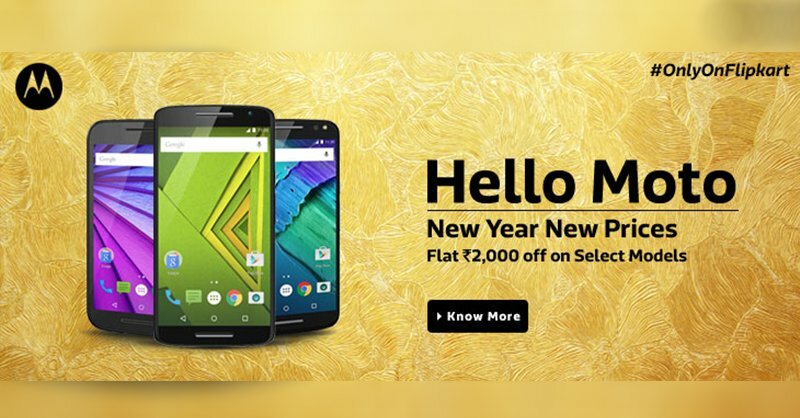 All these come with 2 years of LeEco membership worth Rs. 9,800, 2-year warranty and 4 years panel warranty. The LeTV Super3 X65 TV offers 20W 2.1 stereo speakers, and doesn’t offer a 3D display. 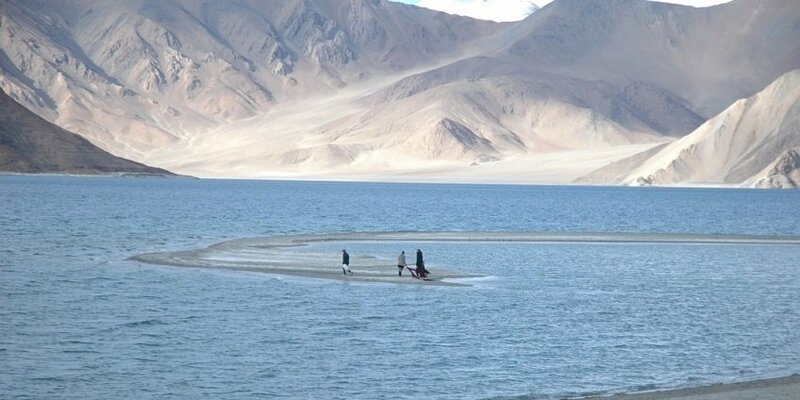 The rest of its features are similar to the Super3 Max65. 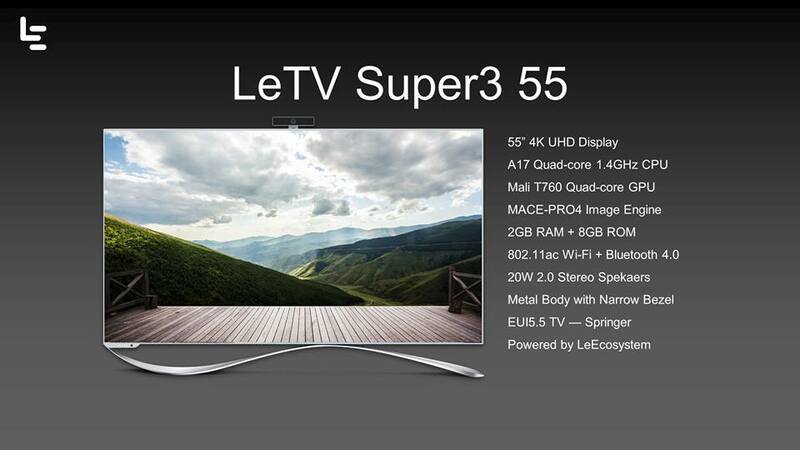 The LeTV Super3 X55 offers a 55-inch 4K display, and is powered by a 1.4GHz quad-core CPU, aided by 2GB of RAM. It comes with 8GB of internal memory, Wi-Fi, Bluetooth 4.0, 20W stereo speakers, a metal body with narrow bezels, and eUI 5.5 TV. 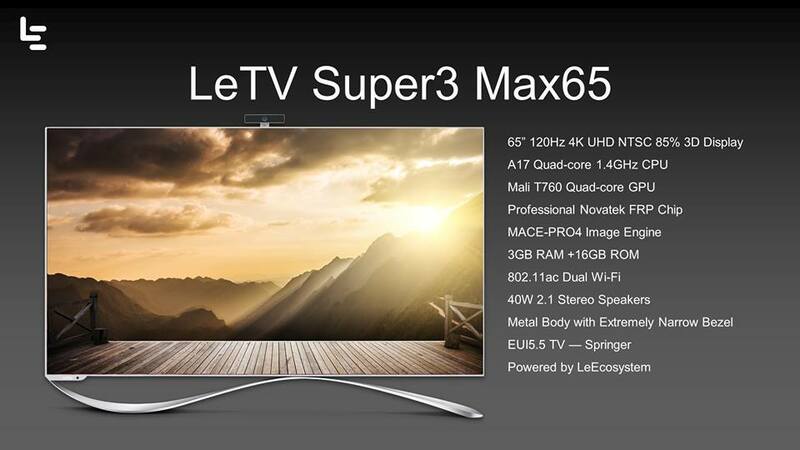 The LeTV Super3 Max65 offers a 65-inch 4K 3D display, and is powered by a 1.4GHz quad-core processor. It comes with a Novatek FRP chip, MACE-PRO4 Image Engine, 3GB of RAM, 16GB of internal memory, dual-band Wi-Fi, 40W 2.1 stereo speakers, a metal body with narrow bezels. The TV is based on eUI 5.5 TV operating system.